Saves on maintenance – Metallic detergent and ashless dispersant additive system provides high temperature deposit control in diesel engines. High oxidation stability protects against the formation of gums and varnish at elevated temperatures, and resists thickening, and oil line and filter plugging. Longer engine life – Proven metallo-organic anti-wear additive system protects against wear of critically loaded components under all operating conditions. Multigrade viscosity provides additional protection against wear at start-up and under high temperature operating conditions. Preserves power and performance – Metallic detergent and ashless dispersant additive system maintains power and performance by providing good upper-ring-belt deposit control, particularly under the high temperatures encountered in turbocharged diesel engines. 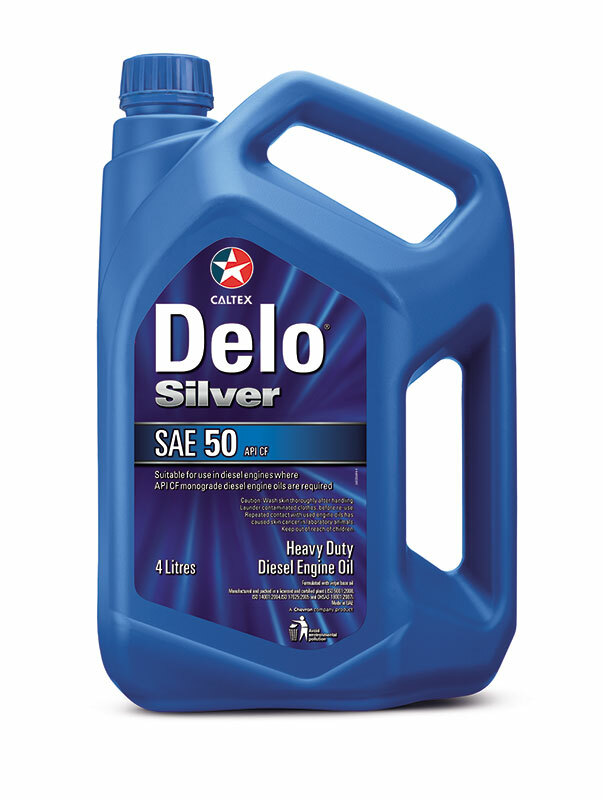 Delo® Silver Multigrade is a multigrade heavy-duty diesel engine oil designed to lubricate engines requiring API CF-4, CF/SG performance lubricants.